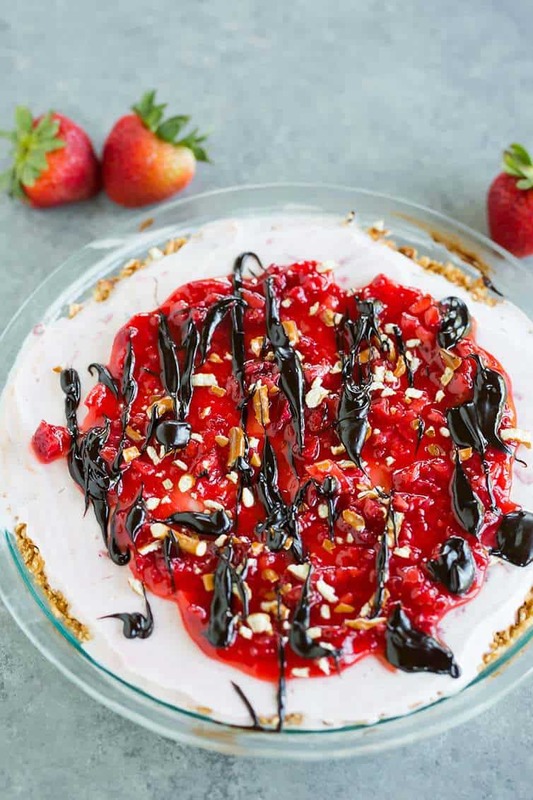 A refreshing salty-sweet strawberry-vanilla ice cream pie with a sugar cone and pretzel crust, topped with fresh strawberry jam, hot fudge sauce, and more crushed pretzels. It took until nearly the middle of June, but sweltering, disgusting heat and humidity has finally reared its ugly head here in Pittsburgh, and I am less than thrilled. Summer is, by far, my least favorite season (I know, I’m the worst) unless the days are in the 70’s, no humidity, and breezy, which never happens. Summer’s saving grace, though, is that it allows you to eat an abundance of ice cream without a single judgement. 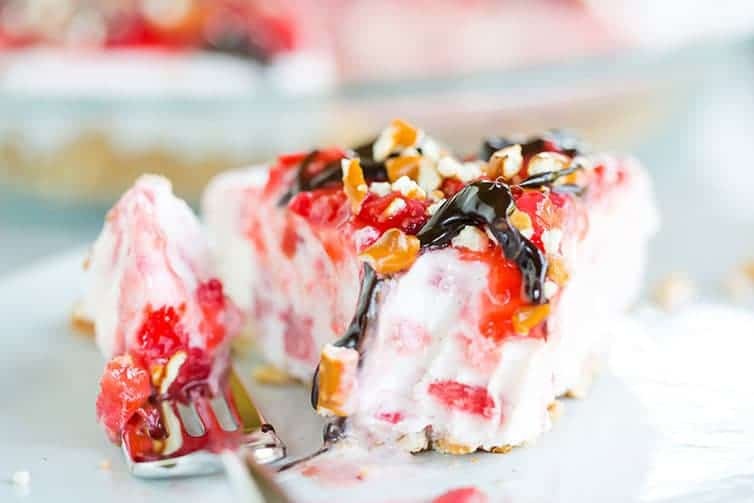 If you want to jazz up your ice cream and serve it in pie form instead of scooping cones, let me introduce you to the ice cream pie. 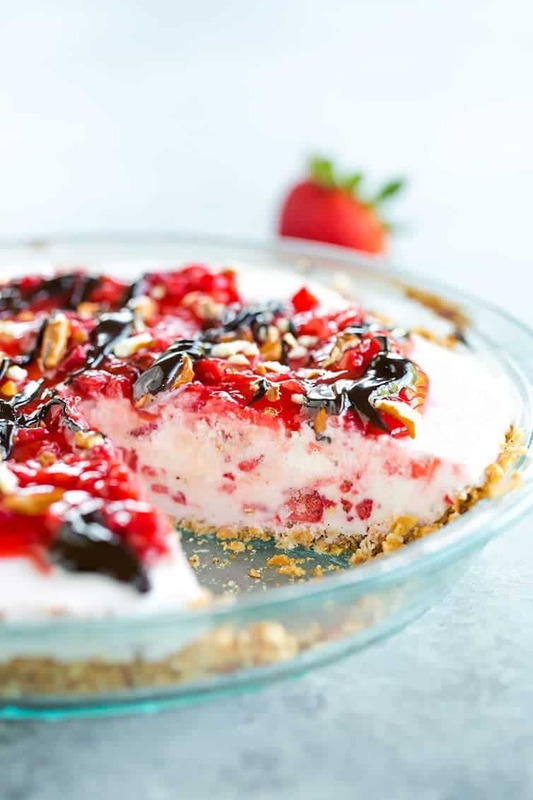 It’s ice cream… in a pie plate… with a crust and toppings. It’s simple, delicious, and the perfect solution to crazy hot days that cause you to sweat in the air conditioning. 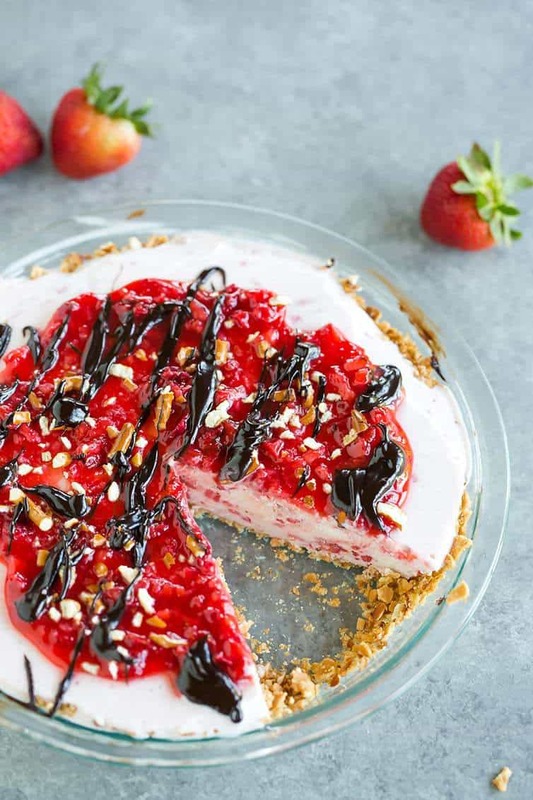 This ice cream pie is super easy to make and totally versatile – change up the fruit, the crust, the toppings – anything goes! Do you do ice cream pies? Tell me about your favorites! Make the Crust: Combine the crushed sugar cones and the crushed pretzels in a medium bowl. Drizzle with the butter and toss with a fork until thoroughly combined. 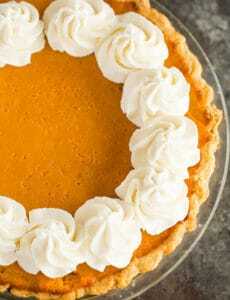 Press the mixture into the bottom and up the sides of a pie plate. Place in the freezer while you prepare the filling. 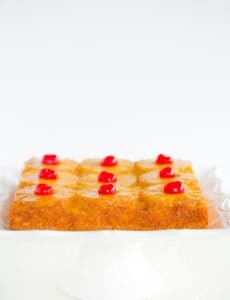 Make the Filling: In a small saucepan, combine 1 cup of the strawberries, the sugar, lemon juice, and cornstarch; cook over medium heat until it is thickened and bubbling. Reduce the heat to low and cook for 2 more minutes. Remove from the heat and cool for 5 minutes, then stir in the remaining 1 cup chopped strawberries. Cool to room temperature, then transfer ½ cup of the strawberry mixture to a covered container and store in the refrigerator (it will be used for the topping). Using a rubber spatula, fold the remaining strawberry mixture into the ice cream until mostly combined. Spread into an even layer on top of the crust, cover with plastic wrap, and freeze for at least 8 hours, or overnight. Garnish and Serve: When ready to serve, top with the reserved strawberry mixture, the crushed pretzels, and drizzle the hot fudge sauce over top. Leftovers should be stored, covered, in the freezer. I love your recipes and blog. Just a quick question about this crust. When you say sugar cones are you talking about the flat bottom cones or waffle cones? I’ve tried it! this is very tasty, once removed from the freezer in 20 minutes is up. So thanks for your recipe. Hi Mary, Add another 1/2 cup of crushed pretzels. Enjoy! Just made these with blueberries from my garden. They are absolutely delicious and my hubby loves them! Thanks for an easy and quick recipe. Really wish you would’ve specified the size of the pie plate in the actual recipe. I used a grocery store pie tin so I didn’t have to worry about getting my stuff back after a barbecue… it was not pretty. To scale back for the smaller tin, I would’ve used one cup less ice cream. So sorry, I will clarify that it’s a standard size pie plate. this looks great, love the pretzel flavor in the crust! Thank you for this! When I was a kid, my mom used to make ice cream pie with a peanut butter rice crispy crust–it was delicious! I don’t know if I would want the hot fudge sauce on top, but these are the kinds of desserts that just make me excited for summer. Who else despises high temps & humidity? Hand raised! Love the crisp days of fall…Regardless, this recipe is perfect for summer. Also, PENS!!! This Ohio household was ecstatic on Sunday night! I am right there with you on summer heat and humidity – yuk. However this ice cream pie looks so refreshing. I have not made ice cream pie but have made a brownie ice cream dessert (a layer of brownies, a layer of ice cream topped with chocolate ganache and jimmies/sprinkles). Super easy and a crowd pleaser. 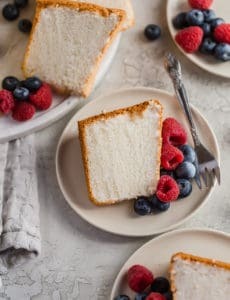 The weather here in Pittsburgh is extremely hot and humid, with that said, this is the perfect summer cold, creamy dessert. This is definitely going into my rotation. Thanks for another great recipe! My husband would be obsessed with this! I should make it for him for father’s day!